Throughout history, the Theatre has hosted some incredible actors and actresses including famous tragedian Sarah Siddons who acted here periodically between 1779 and 1808. A regular player on the London stage, and renowned for her ability to depict complex emotions, Sarah was heralded as an icon of 18th-century theatre. She was famed for her Shakespearean parts, particularly her Lady Macbeth which audiences described as ‘perfection’. Sarah was also the first influential actress to portray Hamlet, cross-dressing for the role nine times in thirty years, including at the Theatre Royal Bristol in 1781. 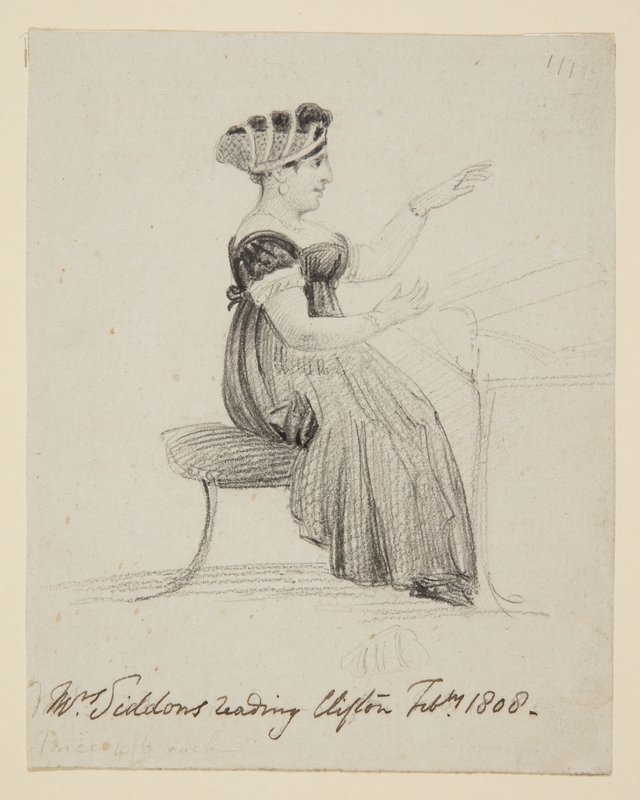 This sketch of her in Clifton contrasts with more austere portraits of Siddons in costume or onstage.